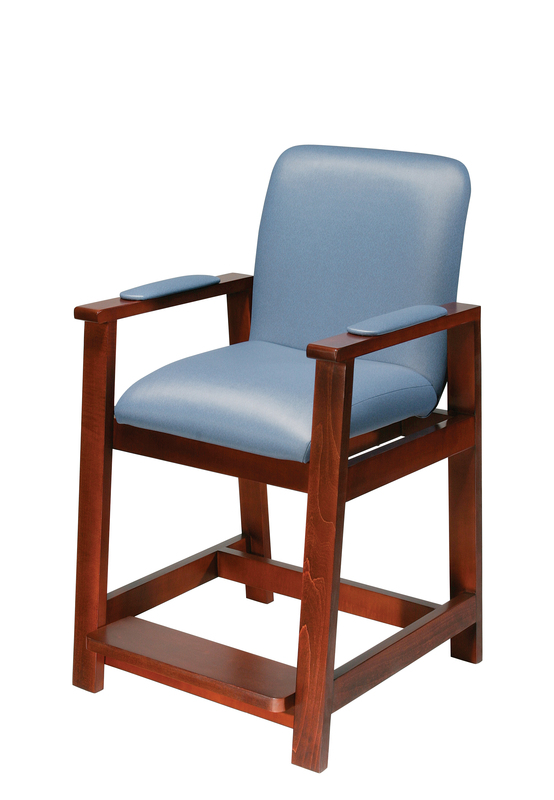 Post-hip surgery residents won't be forced to bend at the hip with this hip-high chair by Drive Medical which provides sitting without having to bend at the hip. Armrests which are covered in the same soft attractive vinyl as the seat and backrest allow you to sit and stand safely. The product is constructed of solid maple hardwood - not a plywood veneer. The fixed footrest adjusts to three different heights to ensure maximum comfort and an ideal ergonomic fit.